Alan Wake - will the hype kill? Normally we like to focus on gameplay first and shiny graphics second. But we were reminded recently that the graphics on the upcoming Alan Wake (above) are so much of a focus for the studio we’ll be disappointed if the shiny bits don’t live up to the hype. Microsoft were smart enough to retain an exclusive with Remedy, developer of Max Payne, so the action adventure thriller game staring fictional novelist Wake will be appearing on Xbox 360 and PC, but not PS3. Let’s just hope the graphics on 360 will do, as our PC (or at least my PC) would burn into flames just trying to install the game. A few impress videos are here, while there are screenshots here and more on a fan site at alanwake.co.uk. Now, all we need is a firm release date… maybe even a release year? Cian Ginty in Los Angeles, CA. At Nintendo’s pre-E3 press conference this morning the company brought a whole new meaning to the phrase ‘backward compatibility’, showing a prototype of their next home console, the Revolution, they said it would allow for download of some games released up to 20 years ago, including games from the N64, SNES, and NES – as well as compatibility with GameCube disks. 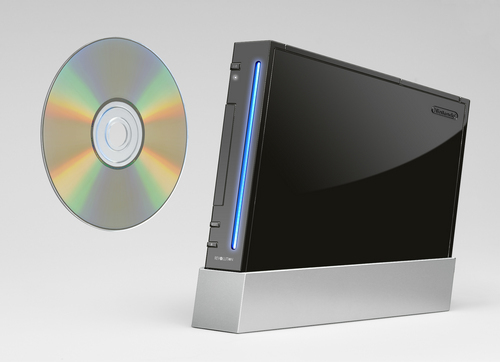 The 12cm disk drive will be a slot, not a tray, and a “self-contained attachment” will allow for the use of DVD films and other content. 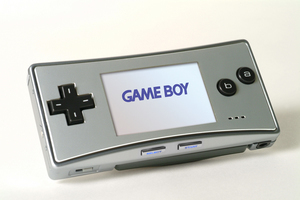 With 512mb flash memory, and a SD memory card port for storage. Built-in Wi-Fi will allow for online and DS connectivity. Cian Ginty, in Los Angeles, CA; Nintendo has become infamous for repacking old software and hardware - with the latter normally with slight design changes - and usually selling them again by the bucket load. The company has now redesigned the Game Boy Advance, making it yet again smaller. Further to the main reveling on the 360 early last Friday morning, at the pre-E3 Xbox event it was confirmed that the console will be backward compatible, and will launch at the same time in Europe, North American, and Japan, although it's still sometime before the end of the year.